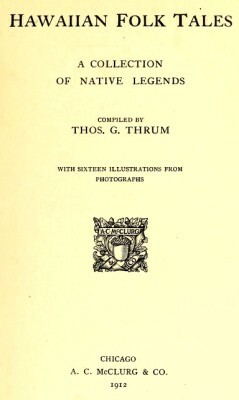 Thomas G. Thrum : Hawaiian Folk Tales, 1907. The book contains as selection of traditional Hawaiian legends, several of which include references to surfriding. 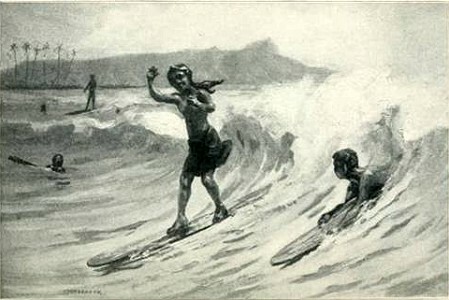 The illustration on page 131, The Favorite Sport of Surf-riding, is signed Hitchcock. Geoff Cater (2013-2016) : T.G. Thrum : Hawaiian Folk Tales, 1907.